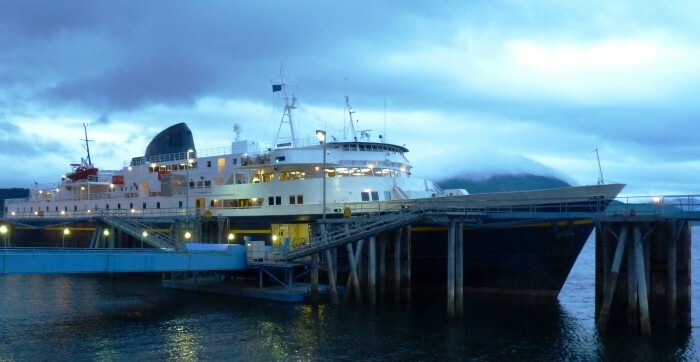 Legislation changing the way the Alaska Marine Highway System is run was introduced last week. House Bill 412 calls for ferry management and operations to be transferred to a publicly owned corporation. Ships and terminals would remain state property. Southeast Conference Executive Director Robert Venables worked with legislative staff writing the bill. He said it would take control of the ferry system away from politicians and political appointees. “It provides an executive board that has deep maritime and business expertise into a model of governance that brings labor and management together working towards common causes and common goals of delivering the best predictable service to the state and the traveling public,” Venables said. Southeast Conference pushed for development of the marine highway in the 1950s. It’s continued its strong involvement in the system since then. The state-funded ferry system has reduced its fleet and sailings over several years due to budget cuts. The age of the fleet also means frequent interruptions in the schedule. The state Department of Transportation and the Southeast Conference agreed to begin working on the idea about two years ago. The legislation is based on studies done for what’s called the Alaska Marine Highway Reform Project. Its research includes a review of other ferry systems. It also gathered information from community leaders, passengers and businesses that use the ferries. “We’ve been talking a lot of concepts lately and this is an opportunity now to have and to hold the actual statutory language that would create the public corporation,” Venables said. The bill has been assigned to the House Transportation Committee. Co-chairwoman Louise Stutes’ office led the effort to write the measure. She was not immediately available for comment. No action is expected this year, so the bill will have to be reintroduced for the next legislative session. But backers expect field hearings before then. Next articleAK: What does Black Panther mean to America’s most diverse community?